Sterling Silver Brand Horse Hair. Mongolian and Siberian horse hair sorted to the Sterling Silver Brand standard. Sterling Silver Brand horse hair has excellent strength, a bright natural white color, even length and thickness. Scoring some of the highest results in our in-house testing facility, Sterling Silver Brand horse hair proves itself to be a strong hair with great elasticity and recovery. Every hair is sorted by hand for its suitability in the professional violin shop. A naturally bright white Siberian horse hair. 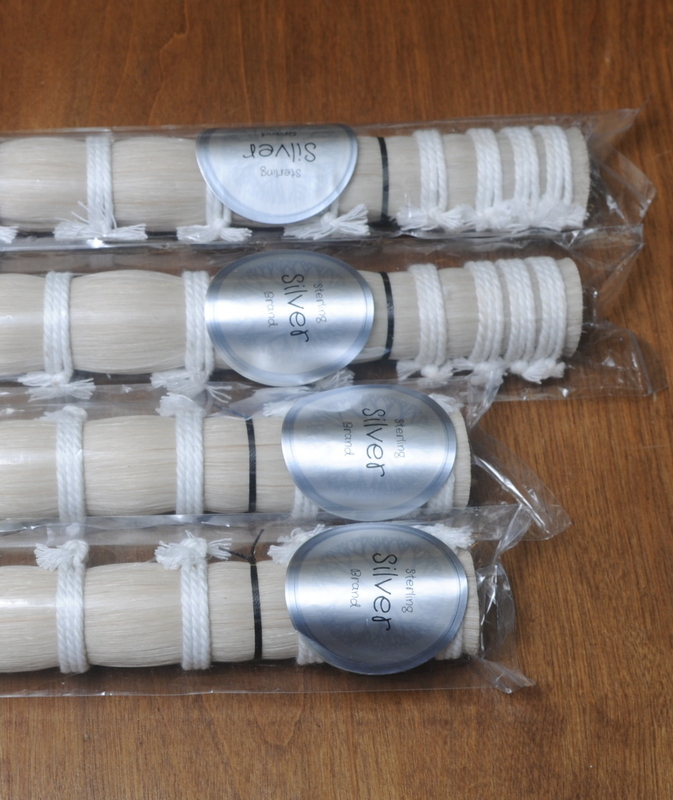 Siberian Stallion horse hair prepared to the Sterling Silver Brand standard: excellent strength, a bright natural white color, even length and thickness. Suitable for use in the professional violin shop for violin, viola and cello bow rehairs.